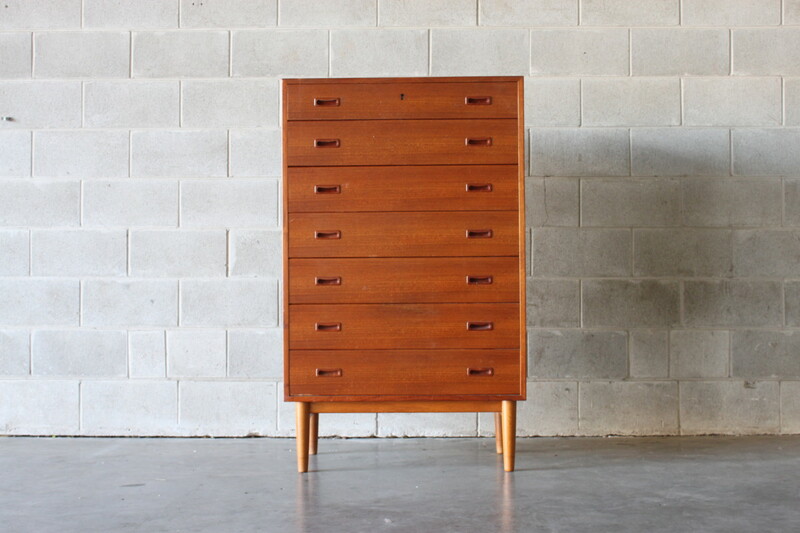 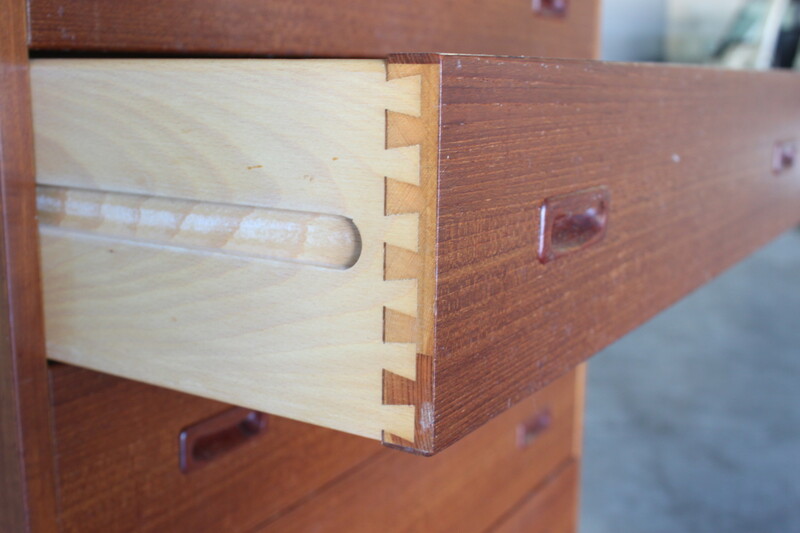 A handsome tallboy with 7 drawers and lockable top drawer by Gunni Omann. 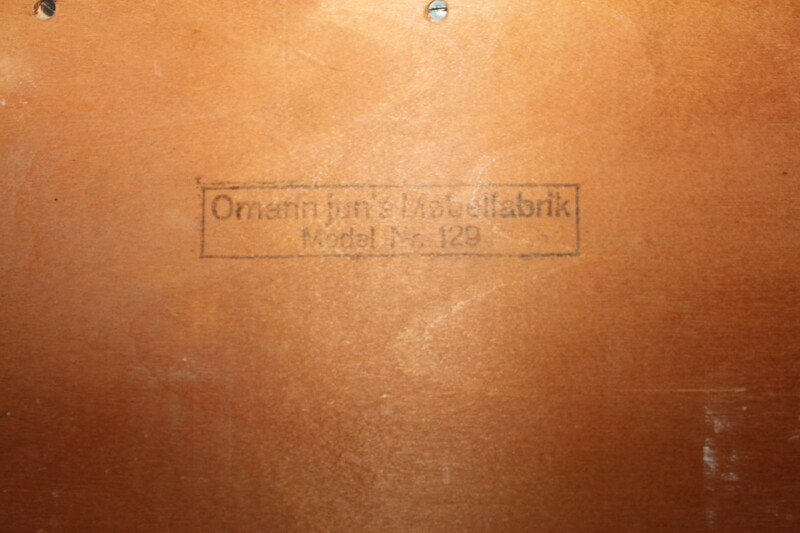 Exceptional quality and craftsmanship as you would expect from designer furniture. 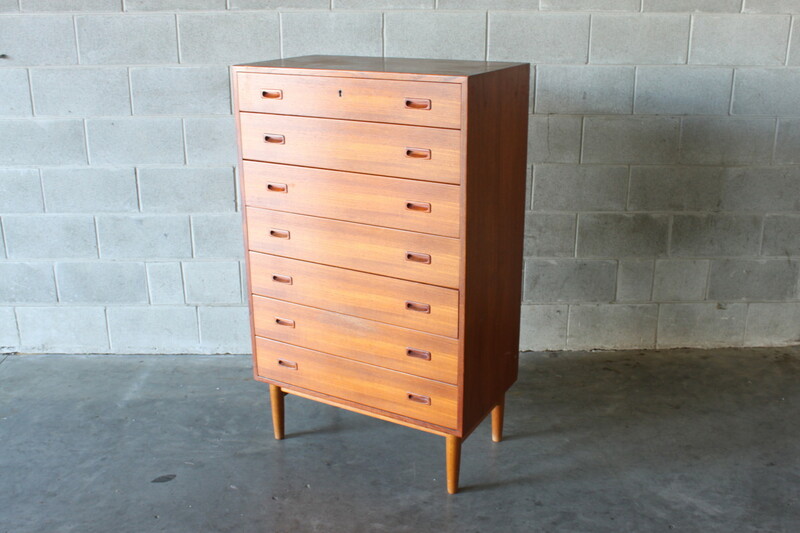 This is a very solid unit and heavy ensuring that it will last a lifetime!